Before we jump into Offsprout, we need to setup WordPress.. If you already have WordPress setup, you can skip this section. You have two options when it comes installing WordPress, host it through a company or on your own machine. Any one of these companies will install WordPress for you, and then you can continue to the next step, Finding and Installing Offsprout.. If you want to install WordPress on your computer, you’re in luck. Why? Because we’re going to show you how, step by step, with the free software, Local by Flywheel. This option is completely free as it requires no paid hosting. Instead, files are hosted on your machine. You’ll be able to view your website in your browser just like a live website, but your website will only be accessible through your computer. This allows you to make and view changes quickly without affecting a live production site. First, visit their website: https://local.getflywheel.com/ and download the free software for your Mac or Windows machine. Open the .zip files and install it to your machine. Next, you’ll want to name your site and choose the “Preferred” environment option (if you’re looking for more custom options – choose “Custom”). Now you’ll set up your WordPress username, password and email. You’ll use this information to log into the WordPress Dashboard (this comes later). At this point, you’ll see the site dashboard. This where you can make changes to your site, create a new site, view your existing site and enter the WordPress Admin. To view your WordPress site, click the view site button. To access the Dashboard, click the “Admin” button or go to your site and add /admin at the end of the URL. Enter the username and password you set up earlier. That’s it. Everything you need to set up your local development environment. Now that you’ve setup your WordPress account, it’s time to find and install Offsprout. The video below will walk you through step by step. The OffSprout Page Builder Plugin is a free plugin that will help you visually edit your pages. The Offsprout Pro plugin is a premium WordPress plugin. After you purchase Offsprout Pro, you will receive a download link in your email where you can download a .zip file that contains the plugin. Once you have the .zip file, you are ready to install. The Offsprout Theme is a premium WordPress theme. 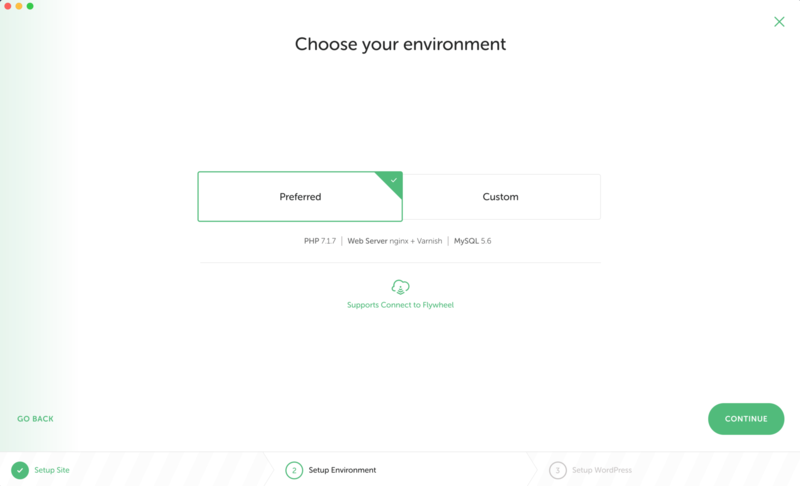 After you purchase the Offsprout Theme, you will receive a download link in your email where you can download a .zip file that contains the theme. Now that you’ve installed Offsprout, it’s time to build your first website! You have two ways to get started. You can build a site using the Offsprout Site Grower or start from within the Offsprout Page Builder. The Site Grower is a helpful tool that allows you to create a website quickly (in under 5 minutes). Simply enter your client’s information and then pick a template for one or multiple pages. The Site Grower will take care of the rest. Give your newly minted page a name, and select the “Page Builder” tab.This will automatically launch the Offsprout Page Builder. Now you’re ready to begin building your page. To add a module or row template, simply click the green icon at the bottom of the screen. You’ll be presented with the module dashboard, where you can add a module by simply dragging and dropping it onto your page. For additional resources around getting started with Offsprout, check out our helpful white label knowledge base.